A similar craft set for liftoff in October will fill the communications gap caused by the launch failure, relieving pressure to immediately order a replacement, said Gerardo Ruiz Esparza, Mexico’s minister of communications and transportation. The Mexsat 1 satellite crashed in Siberia a few minutes after liftoff from the Baikonur Cosmodrome in Kazakhstan. The third stage of the spacecraft’s Proton rocket booster cut off prematurely, according to Russian authorities. The spacecraft — also named Centenario in honor of the 100th anniversary of the Mexican Revolution — was part of a new $1.6 billion telecommunications system backed by the Mexican government to link Mexican security forces and civilian authorities in remote locations outside the range of terrestrial cell phone networks. Mexico ordered three satellites for the Mexsat system. Two 5.9-ton satellites were built by Boeing Satellite Systems for launch aboard Proton and Atlas 5 rockets, a smaller satellite named Bicentenario manufactured by Orbital ATK launched in December 2012 on an Ariane 5 rocket. The Boeing-made satellites have the same mission, featuring a 72-foot mesh antenna deployed in orbit to broadcast powerful signals to be picked up by handheld terminals on land, in the air and at sea. The second of the pair of satellites — named Morelos 3 — is in storage at Boeing’s factory in Southern California awaiting liftoff later this year, according to Mark Spiwak, president of Boeing Satellite Systems. Morelos 3 is scheduled to lift off Oct. 22 on a United Launch Alliance Atlas 5 rocket from Cape Canaveral, according to Esparza. 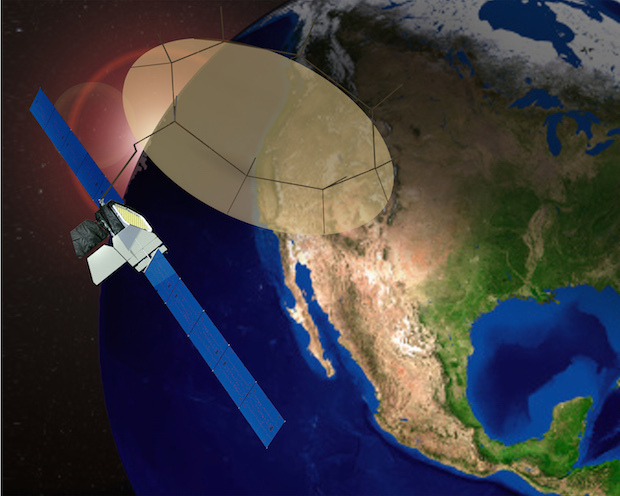 Mexico contracted for the launch with Lockheed Martin Commercial Launch Services. 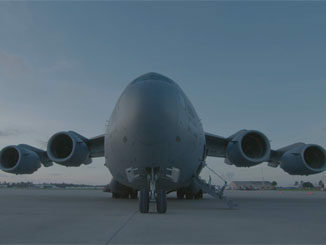 “It is important that we have a service that allows us to communicate, and that service is almost guaranteed because Boeing already has Morelos 3 ready to be shipped soon, so that in a few months we will have installed a new satellite that will give us the full service that is required at this time by the government,” Esparza said. “Morelos 3 will fully meet the national security and social connectivity functions in remote sites,” Esparza said. The Centenario spacecraft was supposed to fly to an operating post in a geosynchronous orbit at 113 degrees west longitude. Its orbit was supposed to oscillate between 6 degrees north and south latitude. Morelos 3 is to be stationed in a similar orbit hovering over 116.8 degrees west. 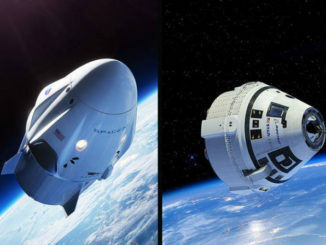 Esparza said the Centenario mission was insured for approximately $390 million — $300 million for the spacecraft and $90 million for launch services. The Russian government has set up a commission to investigate the Proton failure chaired by Igor Komarov, head of Roscosmos, the Russian space agency. The problem struck the Proton launcher when it was traveling too slow to enter orbit, so debris from the doomed rocket and satellite fell from an altitude of approximately 161 kilometers, or 100 miles, and likely burned up during re-entry into the atmosphere. International Launch Services, the Virginia-based company that arranged the launch contract for Mexico, said the problem with the Proton’s third stage occurred about 8 minutes, 10 seconds, after liftoff from Kazakhstan. 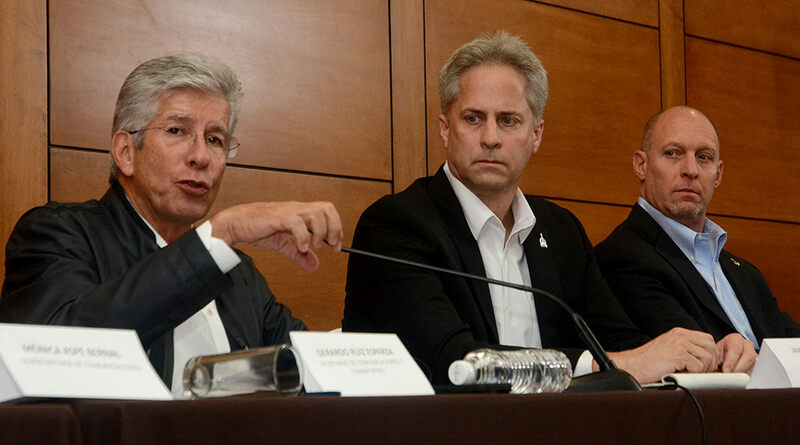 Jim Kramer, vice president of marketing and sales for ILS, apologized to Mexican government officials and the Mexican people during the press conference held at a Mexsat ground station in Hermosillo, Mexico. “Given the time that this (failure) occurred during the launch profile, the third stage, the upper stage and the Centenario spacecraft were still suborbital and had not achieved initial orbit yet, resulting in the stack of those hardware elements falling back to Earth,” Kramer said. Russia’s Tass news agency reported Saturday that engineers are focusing on the third stage’s steering engine as a leading candidate for the source of the failure. Satellites awaiting launch on Proton rockets are grounded until the investigation is complete. “Obviously, all future Proton launches are on hold pending this investigation and implementation of corrective actions to ensure that this drastic accident does not occur again in the future,” Kramer said. A satellite owned by London-based Inmarsat, a satellite fleet operator specializing in maritime and aeronautical communications, was next in the Proton’s launch queue for liftoff in June. 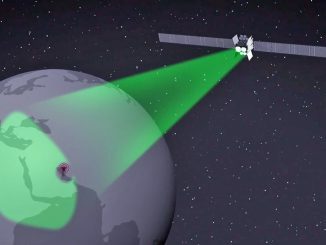 The Inmarsat 5 F3 spacecraft is the third of four satellites planned for the company’s Global Xpress network, which aims to boost connectivity speeds for customers on airplanes, at sea, and in other remote regions worldwide. “This incident involving a failed Proton launch from the Baikonur Cosmodrome is extremely unfortunate and will inevitably delay our launch plans for our third Global Xpress satellite,” said Rupert Pearce, Inmarsat’s CEO, in a press release Monday. 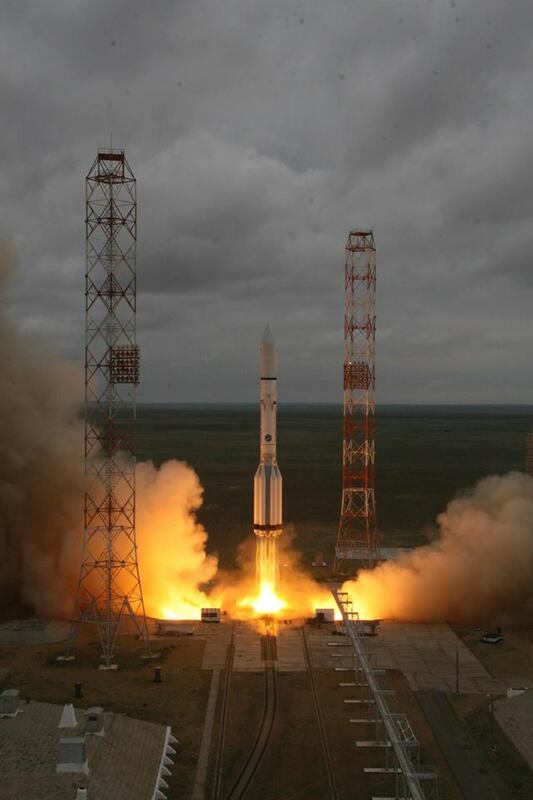 Inmarsat has had its satellites grounded before following Proton launch failures. The company booked the first three Global Xpress birds to launch on Proton rockets, but assigned the fourth satellite to fly on a SpaceX rocket. Inmarsat announced the contract with SpaceX in July 2014, after encountering delays due to the Proton’s troubled track record. The operator’s first two Global Xpress satellites — Inmarsat 5 F1 and F2 — had successful launches on Proton. “This is the third time our Global Xpress program has suffered launch delays because of Proton launch failures. Although in the past, Proton has returned to flight within a few months of a launch failure, it will not be possible to determine the length of the delay in the launch of Inmarsat 5 F3 until the cause of the Centenario launch failure is established,” Pearce said. Inmarsat said the launch delay for Inmarsat 5 F3 is expected to have a “small negative effect” on the company’s 2015 revenue and earnings. The first two Global Xpress platforms are in service providing coverage over Europe, the Middle East, Africa, Asia and the Americas. “We are also reassured that Inmarsat 5 F4 is currently under construction by Boeing in California, and remains on schedule for completion in mid-2016, with a potential SpaceX launch in the second half of 2016, providing us with significant mission assurance in the case of any protracted delays in Proton’s return to flight, or a failed launch of Inmarsat 5 F3,” Pearce said.